Arguably the biggest Search engine in the digital Arena, Google has taken a commanding lead in setting up the rules of the online marketing game. The search engine attracts billions of queries every day which seems to capture marketers to gain from such activities. Often, the visitors will make inquiries based on problems identified and are likely to end up making a purchase related to the problem. If you can provide solutions to related queries, you will succeed in the most competitive arena. Nonetheless, you must learn to play with the rules, to avoid Google penalties as well as climb up the search engine ranking ladder. Advertising in Google takes more than one stance; you have to be ready for the ever-changing algorithms and most recently, the newly formed layout changes that often dictate the outcome. With most changes not likely to live beyond 12 months, some seem to exist beyond the average lifespan hence the need to get ready. At the heart of these changes comes the minutest change that is hard to identify from a quick search. Since inception, the feature has taken many by surprise, hence taking long for them to adapt. Since Google introduced the current results page at the end of the 90s, the URL always appeared below the title as well as the description. The feature seems to have gone, with the SERP fixing the URL between the title and the Meta Description. With such a change in the appearance of the snippets, marketers have pondered on the best way to comply with the change and finally accepted the fate. Notably, it’s not deemed to bring substantial effects on the click-through rates making it more of an aesthetic meant to improve the visual appeal and not the functionality. Nevertheless, it works best with the recent SERP’s focus on brand campaigns. By pushing the URL up the scale, you effectively force the users to read the link hence get the name of the site before leaving. Successful marketers know what it takes to earn authority in the Search engines. Link building comes in handy towards gaining the SERP credibility, which results to better ranks and subsequent leads. While Google push for trust and authority seems to have taken lead of the agenda, many people seem to have developed complacency on the issue. The change is perhaps the most prevalent in the public domain. The preliminary results show some lost publicity for some brands such as Nike, and the focus remains on how such companies will regain their market authority. With such challenges already sending panic to other companies, Google has made further changes to cope with the new requirements without hurting the market leaders. While they can deliver up to nine-page listings and maintain a high level of SERP ranking, the extended links seem to present a level playing field for all marketers. The previous method entailed monopolizing the first landing page with a single website, giving undue advantage to specific. Today, businesses can square it out for to get a slot within the nine available on perhaps a more comprehensive basis. Like other features, it’s not without voids as the keyword, and the brand name seems to coincide with a grey area. Nonetheless, the extended links provide a temporary bridge before the SERP technicians figure it out. As the online audience show a considerable response to visual advertisements, marketers are keen to entice traffic using YouTube videos. Coincidentally, Google embarked on enriching some listings with YouTube videos. The Videos come in the form of the still thumbnail on the left side of the link, often hyperlinked to the YouTube channel that contains the video. While it could be a game changer on the current layout, such features remain rare and hence exciting to see how the idea churns out. It remains unclear on the criteria that SERP will use to decide the videos that will be displayed on the listings. Perhaps the most recent change done over the last two weeks, it aims to change the listings descriptions to enhance readability. Most descriptions will appear in list formats in the form of bullet points. 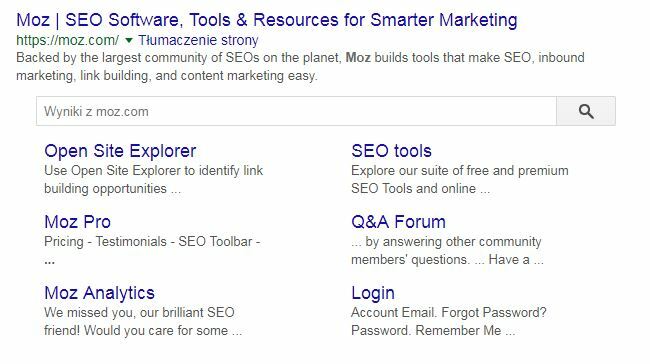 According to the search engine, pages that present data in lists and table format are likely to change snippets to show the new format, which is aimed to pre-manifest what the landing pages contain and whether it relates to the customer needs. Perhaps a new addition without much appeal about the intended purpose. It fails to provide the much need assistant to the visitors to get specific data, with most sticking to the traditional formats. The information format seems insufficient hence likely to make little impact. You cannot influence the results via SEO since the description is automatically generated by the search engine.